Summer is here which means that temperatures are rising and days are getting longer. 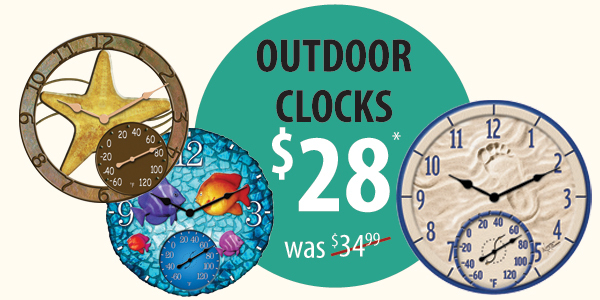 To keep track of these seasonal changes, all of our outdoor clocks are on sale! All of these decorative clocks feature built-in thermometers so when someone asks if it's hot enough for you, you can say "Yes" and have the data to back it up. * Prior Sales Excluded. 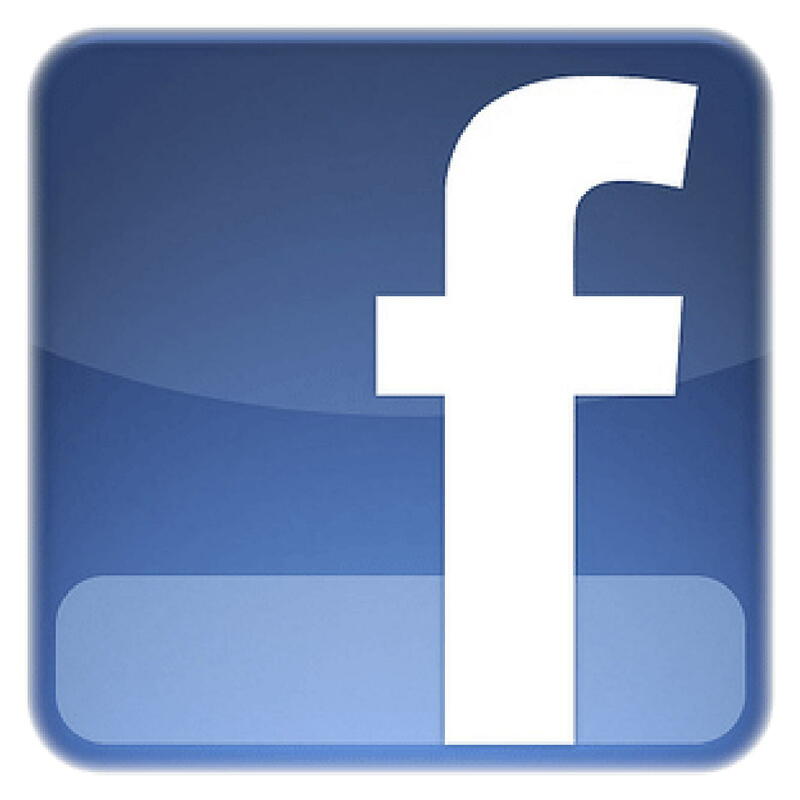 Not applicable on clearance items or in combination with any other discount. 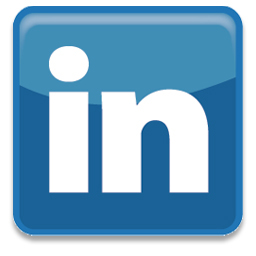 Limit one discount per customer. Offer ends 6/30/15. NEW FURNITURE FOR A NEW SEASON! 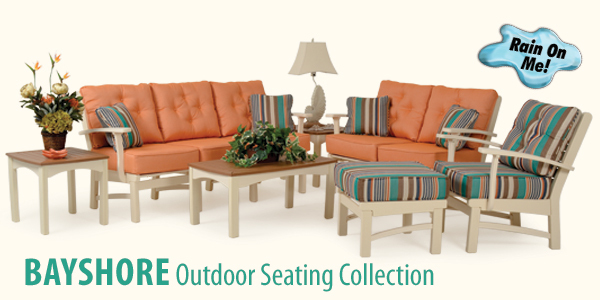 We are excited to introduce our Bayshore Outdoor Seating Collection. 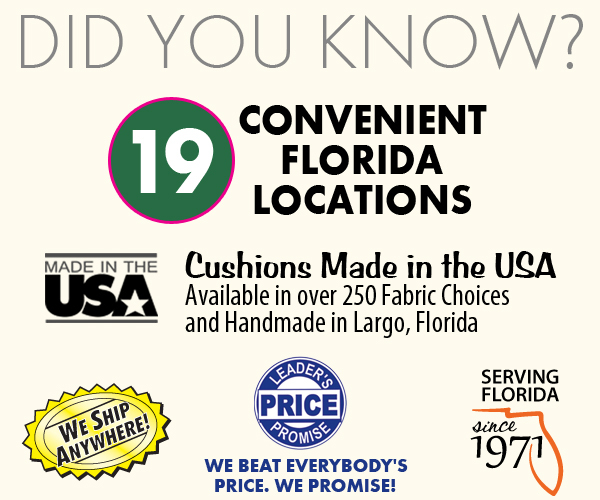 This deep seating collection is made from the finest high density polyethylene lumber that won't harm the environment by emitting harmful chemicals. It's tough enough to take any kind of weather. Resistant to mold and mildew, it will remain beautiful for years with minimal maintenance. This set is beautiful, comfortable and built to last! Bayshore Seating will be available in the finish and fabric shown below but can also be ordered in 23 other frame colors and a huge combination of fabrics to really reflect your personal style. Did you know that our umbrellas block 98%of UV Rays? We have a great selection of umbrellas in stock and even more options through special order. 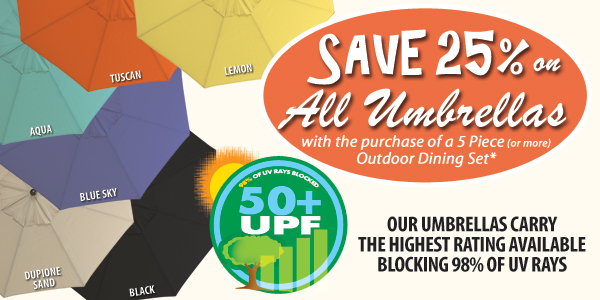 This month save 25% on any umbrella with the purchase of any 5 piece or larger outdoor dining set. Save on the shade and take shelter from the sun! * Available In Store Only. Prior Sales Excluded. 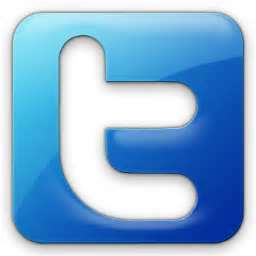 Not applicable on clearance items or in combination with any other discount. Offer ends 6/30/15. Rugs can really tie a room together, and your outdoor rooms are no different! Adding an outdoor rug can make the difference between your space being just another patio and it being a finished outdoor living space where people want to gather. We have a great selection of stylish and durable rugs suitable for indoor or outdoor use. 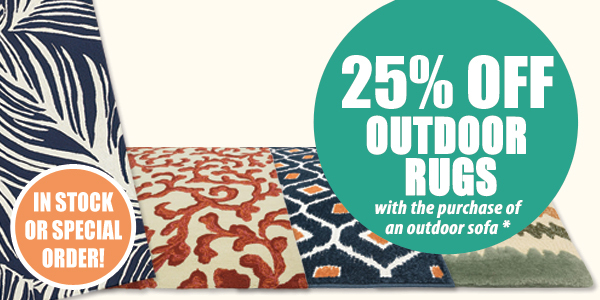 This month, if you purchase an outdoor sofa, take 25% off of any of our outdoor rugs. 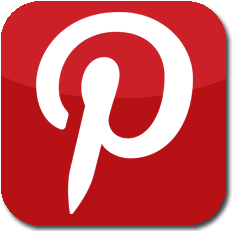 This is a great opportunity to make your space the place and save money in the process! 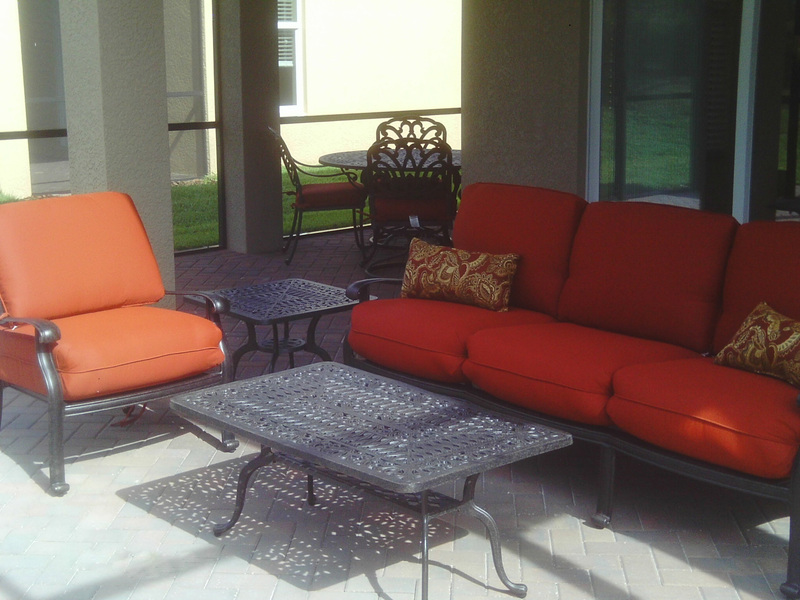 This month's photo shows some of our San Marino Seating collection. The San Marino collection can provide a rich, old world feel for your patio or outdoor living area. This patio looks great, but adding an outdoor rug would make it even nicer! CLICK HERE to view this collection online or visit any of our local showrooms for more information.